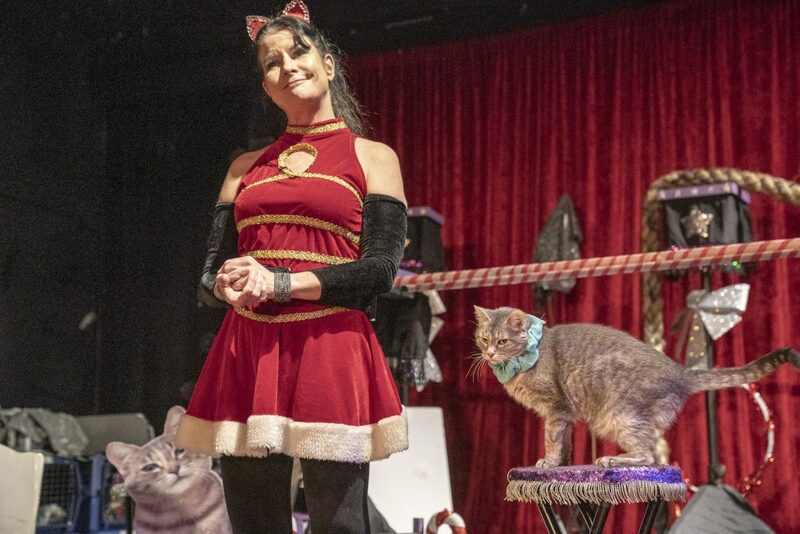 After stage 3 colorectal cancer, Samantha Martin is cancer free and ready to hit the road with her act, the Amazing Acro-Cats. “It’s my gift in life to be able to figure out an animal’s mind and what motivates them,” says Samantha Martin. 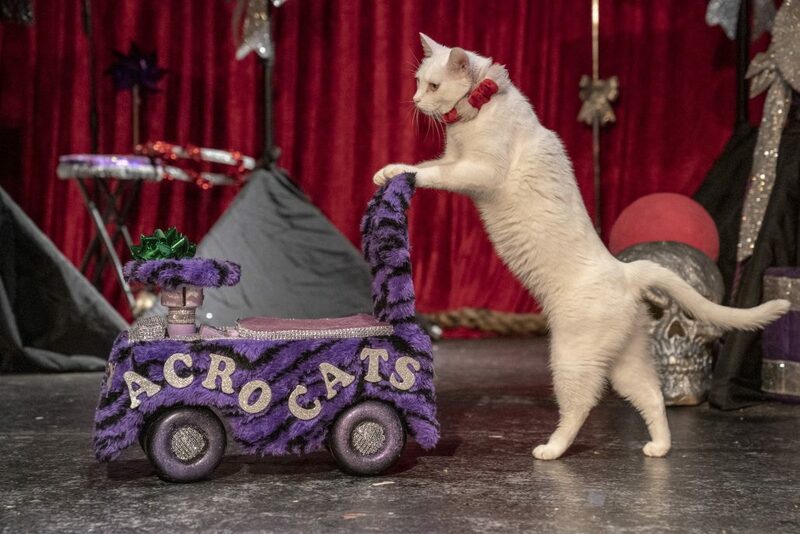 Martin, 54, is the founder of the Amazing Acro-Cats and the Rock Cats, a traveling troupe made up of typical domestic short-haired cats, a groundhog, a chicken and two rats that perform jaw-dropping circus-like acts and even play music. 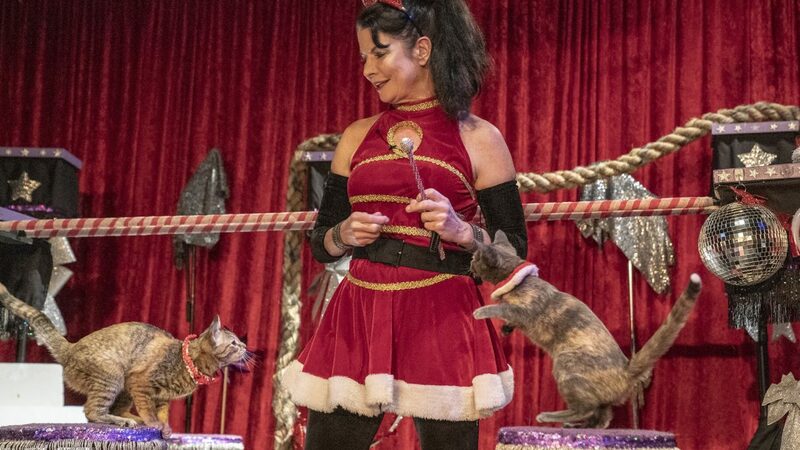 “We’ve added a saxophone and a trumpet, so it’s taken on a free-form jazz feel,” explains Martin, who, outfitted in cat’s ears and either a catsuit or a ringmaster’s outfit, is a big part of the show. Checking boxes off a seemingly endless to-do list before she departs, Martin is preparing to hit the road in her brand-new bus for a southwest tour. Before she brings the Acro-Cats on tour, though, Martin has one last appointment: getting her bloodwork done to make sure she is still cancer-free. 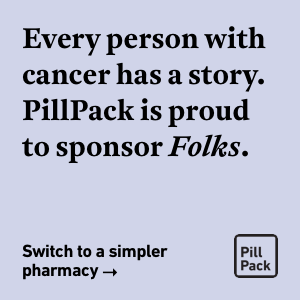 Diagnosed in early 2018 with stage 3 colorectal cancer, Martin was forced to cut last year’s tour short to begin her treatment.After five-weeks of oral chemotherapy, Martin underwent one surgery to remove the cancer and a second seven weeks later to “reconnect” her. While the treatments had side effects, including fatigue, bowel issues, “chemo brain,” and post-operative pain, Martin was comforted by her animal companions, which include 27 cats, an African serval and two Labradors. A self-described “outcast” with few friends, Martin discovered that she had an unusual rapport with animals early in life. Later, she enrolled in an animal behavior class at the local community college and ultimately earned a degree in animal service. After interning at a store that trained exotic animals to perform in film, television and live shows, Martin took a job running the rodent and reptile department at a local pet store. Samantha Martin running a couple of her cats through a routine. One day, a movie production team stopped in and asked if she could train rodents to climb into a box for a key scene in their film. “I can train them to crawl in a box and answer a telephone,” she told them. It turned out to be her big break. While she was on set, a WGN news crew showed up and filmed her, later airing a segment that got picked up by CNN and aired around the world. It led to a slew of television spots, including high-profile gigs on Geraldo and Inside Edition. To supplement her film work, Martin worked as a wildlife educator, giving talks at schools, libraries and birthday parties. She turned her two-flat building in Chicago into a private “zoo,” with a reptile room in the basement and a space for farm animals out back. The whole house smelled like animals, she recalls, but she didn’t mind. “I started coming up with ways to teach them, so that I could demonstrate their abilities with cute tricks,” Martin says. For example, after watching her coati, a relative of the raccoon with a long nose, dive headfirst into a laundry basket and fish out a pack of gum buried deep in a pants pocket, Martin started putting treats in other places. Eventually, the coati could open a mail box, take out a wallet, remove a rolled-up dollar bill and unroll it to find a treat. She likewise taught groundhogs to raise flags and raccoons to play basketball. 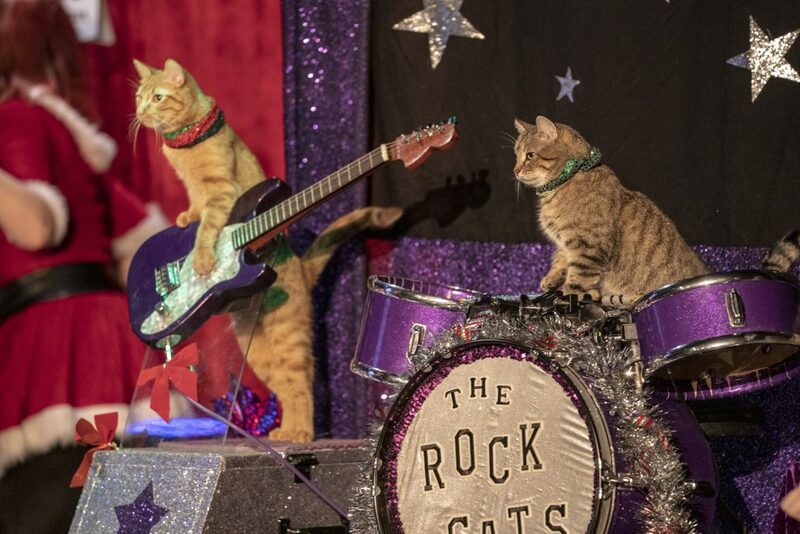 The Rock Cats, the Acro-Cats’ house band. Not to mention her many cats. 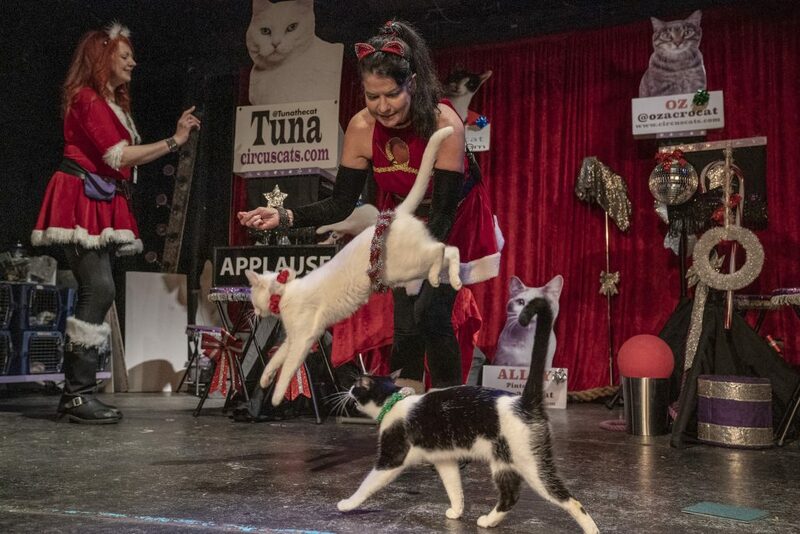 Weary of giving talks at schools (“I don’t care for children,” she says), in 2005, Martin put her cats to work, launching first the Rock Cats and then the Amazing Acro-Cats. “There are a million dog trainers, but very few cat trainers, and I like a challenge,” Martin says. It wouldn’t be possible without clicker training, she explains, a method of pairing a clicking sound with a treat to encourage the desired behavior. Starting out with art gallery openings, night clubs and birthday parties, Martin eventually rented a theatre in Chicago for a six-week run. People showed up in droves. “The cats sucked, but people loved the act so much,” Martin says, remembering their first performances. “The cats sucked, but people loved the act so much,” Martin says, remembering their first performances. Over the years, Martin’s cats have appeared on Animal Planet’s Pet Star, Must Love Cats and Animal Witness. Her favorite one, Tuna, now deceased, also starred in the independent movie, Zeke. Most recently, Martin and her feline friends appeared on the Late Show with Stephen Colbert, where Martin says they “bombed.” “I’m terrified of public speaking, and the cats feel your stress,” Martin explains. Martin is proud of what she’s been able to accomplish with her cats. Not just an entertainer, Martin has made it her mission to foster cats as well. She’ll take on an entire litter, train them all and keep the most talented for the act. Those that remain are available for adoption, a service she runs out of the front of her tour bus. Over the past decade, Martin has found “fur-ever” homes for 228 felines. Martin knows all too well how impactful such relationships can be, offering companionship as a child and comfort in the wake of her cancer diagnosis. That said, she has plenty of human friends and supporters too, people who accept and even embrace her for her uniqueness. When her insurance policy denied a claim, for example, she launched a GoFundMe and raised $76,000, which allowed her to keep the lights and feed the animals on during her nine-month treatment.